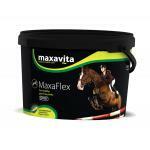 Had my mare with arthritic changes in her joints on this supplement. I believe she was more comfortable and less stiff when ridden - I would recommend this product , one tub should last one month , easy to feed and good value for money when compared to other joint supplements. Had my mare with arthritic changes in her joints on this sup ..